Users with access to system settings can access a list view with all the uploaded files. You can download files one-by-one, but you can also download a selection of files. 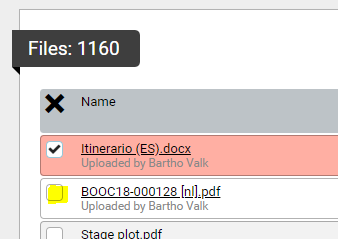 Click the checkbox to select the file. 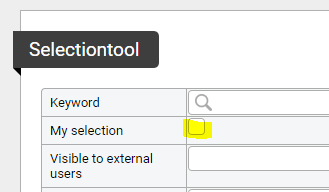 In the selectiontool, turn on "my selection".